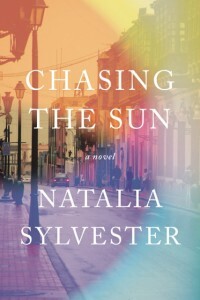 Partially inspired by her grandfather’s kidnapping in Peru, CHASING THE SUN: A Novel (Lake Union/New Harvest; on sale June 3, 2014) is Natalia Sylvester’s suspenseful debut about a man whose wife is kidnapped just as their marriage is falling apart. I’m being held by three men who say they’ll keep me safe as long as you cooperate. They say that means no cops and no media. They say they’ll call when they’re ready to talk to you. Kiss our children for me and tell them not to worry. Keep me in your thoughts as I will be keeping you in mine. Despite their crumbling relationship, Andres quickly realizes he must do whatever it takes to get Marabela home. He can’t possibly afford the ransom the kidnappers demand or handle this threat to his family alone so he hires a consultant to help negotiate with the terrorists. He also reaches out to his estranged mother, who has never cared for Marabela and even reconnects with an old friend who may hold the key to his past and his wife’s future. As each day passes without the return of his wife, Andres is forced to come to terms with whether or not what he and Marabela have left is worth saving and how far he’ll go to bring her home. Set against the backdrop of the political turmoil and terrorist threats of 1992 Peru, CHASING THE SUN is a story of how trauma has a way of exposing our most difficult truths and healing past wounds and regrets. 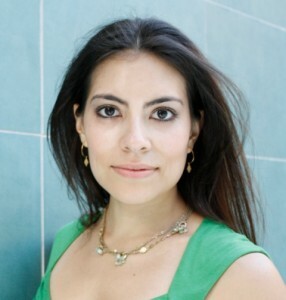 Natalia Sylvester was born in Lima, Peru. She came to the U.S. at age four and grew up in South Florida, where she received a B.A. in creative writing from the University of Miami. A former magazine editor, Natalia now works as a freelance writer in Austin, Texas. Despite the fact that this novel opens with a kidnapping, and is mainly focused on a marriage that is falling apart rather than one that is coming together, the author’s sense of place, her vivid descriptions, her three-dimensional characters, are all so compelling that I literally could not put it down, reading it straight through in a single evening. And not even in the bath. It’s heart-achingly honest, sad but with bright moments, and ultimately so completely truthful that I felt as though I knew these people. And maybe that’s why it works, because while the situation is anything but normal, the characters are as real, as substantial, as our own family members, friends, and neighbors. I really like that, unlike any other novel dealing with the same subject, the focus would have been on the one who was kidnapped, the wife, Marabela. Instead, it’s very much Andres’s story, and in choosing to make him our POV character, in choosing to have him be sympathetic, author Sylvester forces us to look at our own culture, our own relationships, and see exactly how we cast our gender and familial roles. Chasing the Sun is simply brilliant. Deep, satisfying, literary brilliance. Goes well with arroz con mariscos (though I prefer mine without octopus) and a really good wine. This review is part of a virtual tour hosted by TLC Book Tours. For more information, and the complete list of tour stops, click HERE.